Sometimes it’s hard to mix colors within the same family of colors, but if they are far enough from each other, it can work. 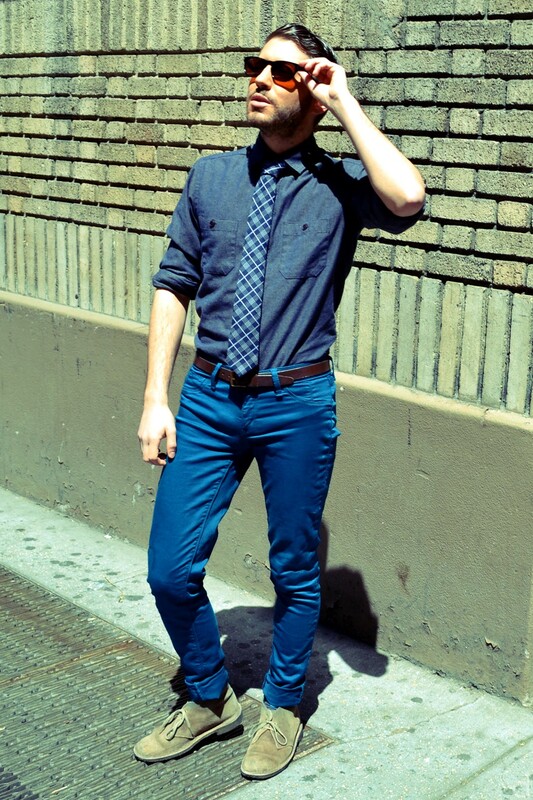 This teal, this navy and this denim are far enough to make it work. Stumbling upon The Tie Society is probably the coolest find in a while. It’s basically a Netflix for ties. You sign up for a subscription, pick what ties you want and they are sent to you. You just send back and get what’s in your “queue”. It’s pretty sweet. You need to check it out! Love the post, I picked that tie out personally a few months back! Grab 50% off your first month of Tie Society membership with the discount code “TRIAL2013”. Enter on our registration page- http://www.tiesociety.com/registration.